The U.S. economy may still be in recession, but the Internet industry is still growing, and there are still plenty of ways to make money online with your own business, especially if you are a bit technical. Think about it. Twitter and iPhone are two of the hottest topics that are being talked about on TV, radio, and on the Internet. Building a business around these services can certainly pay for the foreseeable future. Since these technologies are not fully mature yet, there are plenty of opportunities to develop innovative solutions for these services and start build your web business. Twitter API and iPhone SDK provide every entrepreneur with a great opportunity to develop innovative applications and start building up your web business. Unlike what most people assume, getting a handle of these technologies is not that difficult. 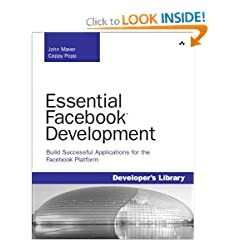 As long as you have some technical knowledge, you can get started with your own Facebook or Twitter app fast. Besides, you can always outsource the process. 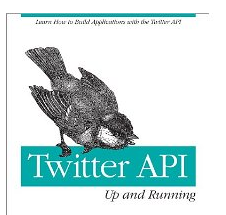 Twitter API – Up and Running: the best Twitter API book hands down. It teaches you how to develop innovative solutions for Twitter and build a Twitter business fast. 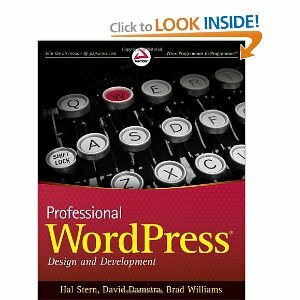 If you know PHP, you are going to enjoy reading this book, and by the time you are done, who knows what you can come up with. Facebook Cookbook: Twitter may be very popular these days, but so is Facebook. Many small businesses have taken their business to the next level by developing cool Facebook apps. A great way to brainstorm, develop products, sell yours or other people’s products. 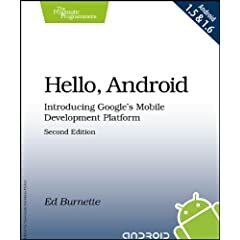 Beginning iPhone Development: if you are completely new to iPhone SDK, you should read this book. 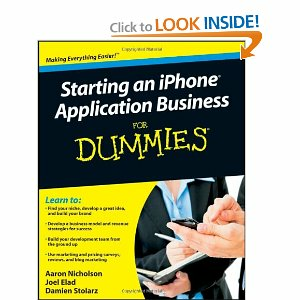 It gets you started with everything you need to know to develop a basic iPhone app. iPhone Games Projects: I can’t tell you how many people have made a lot of money by developing killer games on iPhone. 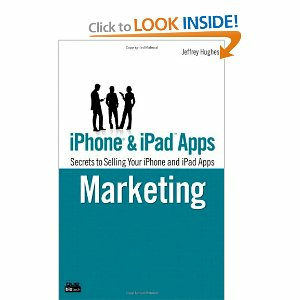 You can make money from ads or just charge for your iPhone app. If you are app makes it to the top seller list, the sky’s the limit for your business. Many developers have quit their day jobs and gotten started with their own app company. You can always hire a few programmers and do the same. Pro Web 2.0 Mashups: a killer book on Web 2.0 mashups. Teaches you what you need to know to work with various APIs and start building your innovative apps fast. Shows you how to create different types of mashup, such as search, calendars, RSS/Atom feeds, and social bookmarking. You don’t necessarily have to be on the cutting edge to make money online, but iPhone, Twitter, and Facebook are great technologies to be involved with. These technologies have a large following, and as long as you address a unique need, there is no reason you can’t build a startup around these technologies. The times may be tough but innovative business models survive and thrive under most difficult conditions. Whether you have been watching TV a lot lately or been following the news, you have probably heard of green economy, green tech, and Eco-entrepreneurship. Whether you like it or not, green technologies are coming, and we are going to have a greener future. That’s a very exciting news for those of us who know how to take advantage of opportunities in this new industry. There are plenty of ways to start a green business, help clean up our Earth, and make a living in the process. And since we are in early days, there are a lot of opportunities to jump on and get an early edge in this industry. You just have to agile. 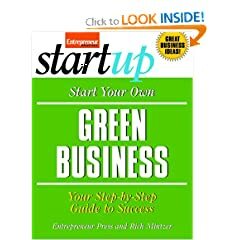 Start Your Own Green Business: this is one of my favorite book. It’s concise and to the point. It’s not written to make you a master in this industry but is a great crash course. It does help you graduate to more comprehensive books more easily. Harvard Business Review on Green Business Strategy: needs no introduction. It’s the one green book everyone should read before jumping into this industry. 75 Green Businesses You Can Start to Make Money and Make A Difference: this is one of the best books to read if you are looking to develop a unique idea for this industry. You may not be interested in any of these ideas, but you can easily come up with your own after reviewing some of these.